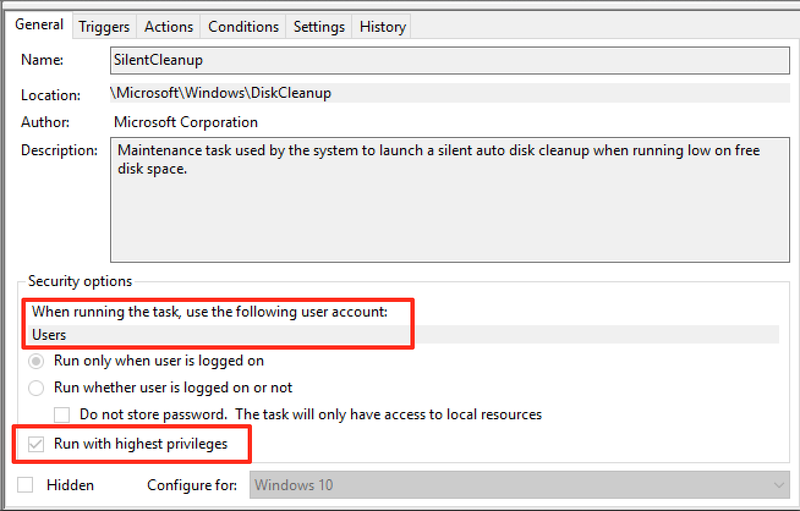 Taking a closer look with procmon, we found that the actual process started by the scheduled task, cleanmgr.exe, auto-elevates due to “execute with highest privileges” being set in the task configuration. Let’s dive in a bit more. 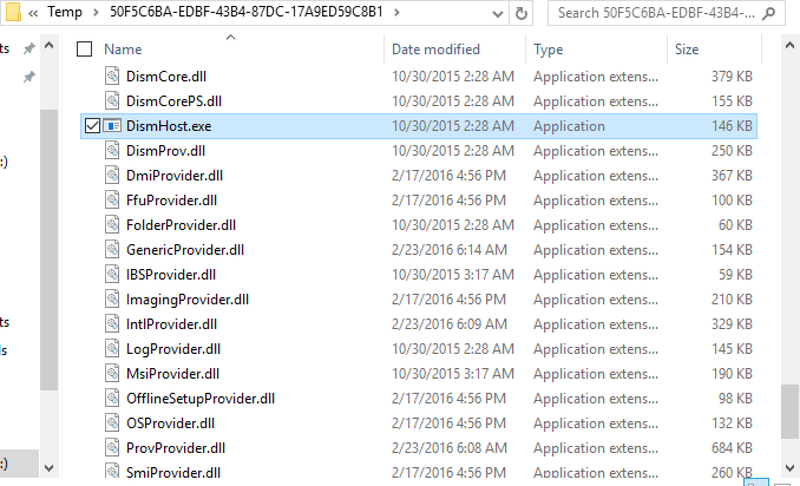 When cleanmgr.exe executes, it creates a new folder with the name of a GUID in “C:\Users\<username>\AppData\Local\Temp”. Because the current medium integrity process has write access to the user’s %TEMP% directory, it is possible to hijack a DLL loaded by dismhost.exe and obtain code execution in a high integrity process. This is commonly known as a “BypassUAC” attack. Since this particular situation is a race condition, we have to replace the target DLL before dismhost.exe loads it. We examined the entire process more closely and determined that “LogProvider.dll” is the last DLL loaded by dismhost.exe, giving us the best chance for a hijack opportunity. With this information, we can use a WMI event to monitor for the creation of “C:\Users\<username>\AppData\Local\Temp\<guid>” and then assign that WMI event an action of hijacking “LogProvider.dll” by copying our “malicious” DLL into “C:\Users\<username>\AppData\Local\Temp\<guid>” and naming it “LogProvider.dll”. Since this action happens before dismhost.exe loads it, it will load our DLL instead of the intended one. Once dismhost.exe loads the DLL, it will load as high integrity, allowing us to bypass User Access Control and obtain code execution as a high integrity process. After additional testing, this technique does not apply to standard user accounts as cleanmgr.exe does not extract any files to %TEMP%. When executed as a standard user in low or medium integrity, the task runs as medium integrity and never elevates past that. This technique does not require any process injection, meaning the attack won’t get flagged by security solutions that monitor for this type of behavior. There is no privileged file copy required. 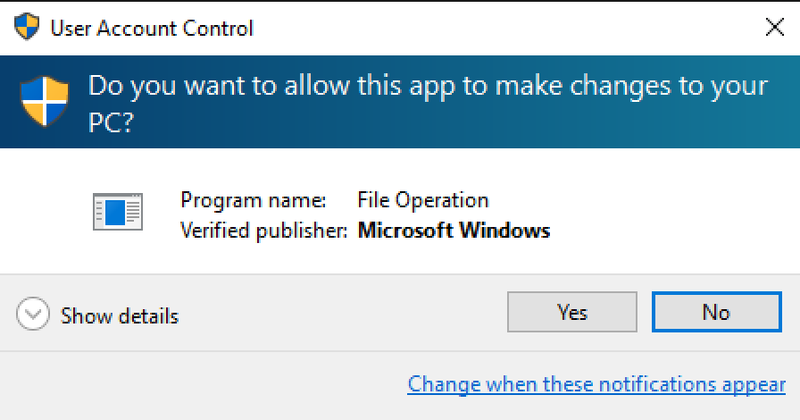 Most UAC bypasses require some sort of privileged file copy in order to get a malicious DLL into a secure location to setup a DLL hijack. Since the scheduled task copies the required stuff to %TEMP%, no privileged file copy is required. This technique cleans up after itself. After the scheduled task is done (and loads our malicious DLL), the task deletes the GUID folder (and files) that it created in %TEMP%. This was disclosed to Microsoft Security Response Center (MSRC) on 07/20/2016. As expected, they responded by noting that UAC isn’t a security boundary, so this doesn’t classify as a security vulnerability, as stated here. While not a vulnerability, it does allow an attacker an alternate method to move to high integrity that differs from previous bypasses and introduces one more location or chokepoint that must be monitored to observe attacker behavior. This particular technique can be remediated or fixed by disabling the task or removing the requirement for running with highest privileges. Further, if you would like to monitor for this attack, you could utilize methods/signatures to look for new WMI events as it is required to monitor for new folder creation for this attack to succeed. 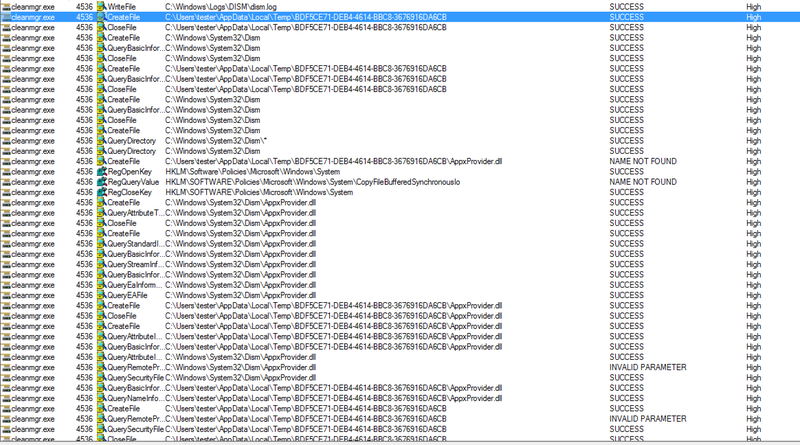 Combining this with App/DLL whitelisting and monitoring for abnormal modules being loaded (e.g. Sysmon event ID 7) would also limit the success of such an attack. *Update: As always, users should follow best practices and not use an administrative account for daily computer usage. Hi I’m student in korea. I think this technique is awesome. Can I translate this article and upload it? Sure thing, as long as the original source is cited.